The dictionary definition of stress is ‘a state of mental or emotional strain or tension resulting from adverse or very demanding circumstances’. That really doesn’t cut it if you ask me. Stress has a huge impact on our bodies and physical health. Also, it isn’t just extreme circumstances that lead to stress – just the constant drip, drip pace of an average busy life can cause stress levels to build up and start to have an impact on our health and state of mind! 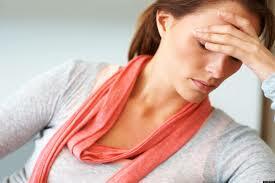 There is a direct correlation between stress, physical symptoms and overall ill health. You only have to notice how your heart rate increases when you feel anxious to see a clear example of how our emotional state affects our body. Many people blame ill health or disease for their physical symptoms, but stress and its direct impact on the immune system is often the reason infections, viruses and skin conditions are able to take hold, as well as being the direct cause of headaches, insomnia and fatigue. Scientists have known for years that Cortisol, known as the ‘stress hormone’, which is released by the adrenal glands in response to stress, causes an array of symptoms, such as high blood pressure, heart disease, diabetes, cholesterol and directly interferes with learning and memory. If you feel concerned about the level of stress you feel – know that you are not alone! The American Psychological Association reports that feelings of stress are increasing in adults year on year and that 75% of adults have experienced moderate to high levels of stress in the last month. Alarmingly, 1 in 75 adults may meet the diagnostic criteria for panic disorder, a condition characterized by repeated panic attacks and chronic worry about the panic attacks occurring. This disorder, along with several other mental health conditions related to anxiety and being unable to adapt to life changes, are caused by unchecked stress. But don’t let the statistics stress you out! (pardon the pun). There are many ways to lower the amount of stress you feel and the impact on your body and wellbeing, but first, it’s important to understand what is happening in your body when you feel stressed..
Thousands if not millions of years ago, our brains evolved a way to help us survive in a dangerous habitat. If we were corned by a vicious animal, or another human wanted to fight us for food, our brains would alert our bodies to either flee or stand and fight, in order to survive the encounter. Cortisol and other chemicals would be produced, which in turn told the heart to beat faster, pumping more oxygen rich blood to the muscles, the electrical activity in the brain to speed up so we could think quicker, and a whole host of other physiological processes which served to keep us alive. This system is hard wired into our brains and bodies. When we feel threatened – it’s activated! Even if the threat is not a risk to our survival or even if it’s only imagined. When we are chronically stressed this fight or flight is happening all the time. Our brains are telling our bodies we are constantly under threat, and our bodies are responding my preparing us to fight or flee, even if it’s only the kids acting up for the third time that morning, our boss being difficult or being stuck in traffic. This part of our brain becomes over stimulated and responds more and more to less powerful perceived ‘threats’. This is where having a good understanding of the mind/body link can help you to cope better with stress, to react more calmly to situations, and to feel less anxious. Make some space in your day, even if it’s only 10 minutes, to sit quietly and focus on your breath. When we’re feeling stressed out or overwhelmed it feels impossible to take time out to just be, ironically when it feels impossible this is the time we most need to do it. Breathe from your diaphragm, not your chest. This draws air into the bottom of your lungs and triggers the central nervous system to slow everything down, your heart rate, your mind chatter and to lower your blood pressure. Clear some clutter. When we clear space, even if it’s only a table surface or part of a room, we do the same mentally. Give yourself some space, both inside and out. Make a to do list or write a journal entry before going to bed. Get everything spinning around your head out and on to paper so that you are free to sleep. Ensuring you get enough sleep is key to coping with stress. Sleep is restorative and allows your body and mind to recharge and reboot. Talk to someone about feeling stressed out. Holding it to yourself only increases the pressure, share your stresses with someone you trust, or a support group, and let a little steam out of the pressure cooker. If you continue to feel stressed, it may be that you also need to have a look at some lifestyle factors, such as alcohol consumption and your sleep hygiene, you may even need to make some serious changes to your life and relationships. My next blog will focus on stress as a communicator – you may need to listen more closely to what your stress is telling you, in order to find a healthier direction or healthier relationships in your life! 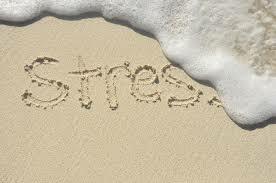 If you feel overwhelmed by stress, have past trauma which causes you to feel panicked or anxious, or if you’d just like to talk about how to manage your stress levels on a day to day basis, please visit joannasmiththerapy.com or contact me at joanna@joannasmiththerapy.com for a free consultation. Living Authentically – Honor your Feelings!